Forget the mess of washing, peeling, and dicing potatoes. 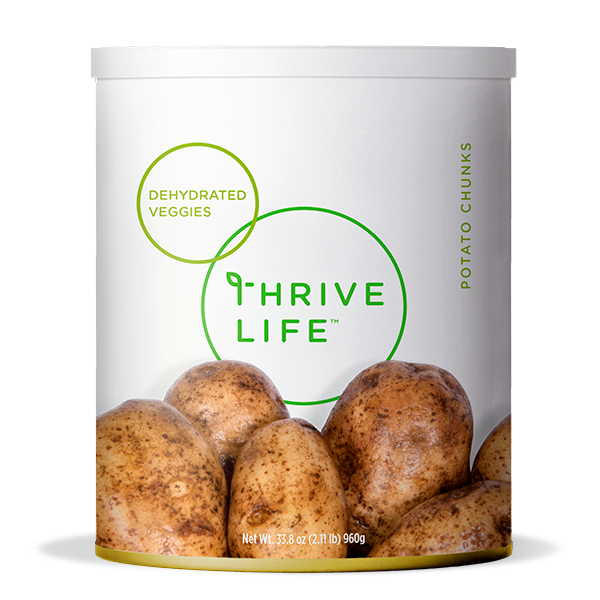 Preparing any meal is instantly easier with THRIVE™ Potato Chunks. Save time making your favorite creamy soups and savory casseroles without losing the great taste you’ve come to love. POTATOES, FRESHNESS PRESERVED WITH SODIUM BISULFITE. Add 1 cup Potato Chunks to 4 cups boiling water. Cook for 15-20 minutes or until tender. Potato chunks are dehydrated making for hearty chunks that work best in stews or for hash browns.